We have known for a long time that exercise is good for the body and in particular the heart. Did you know exercise is also good for the brain? Cardiovascular exercise is not only good for your heart health. It increases your energy level, boosts your immune system, lowers your blood pressure, can improve your mood and may be good for your brain health. 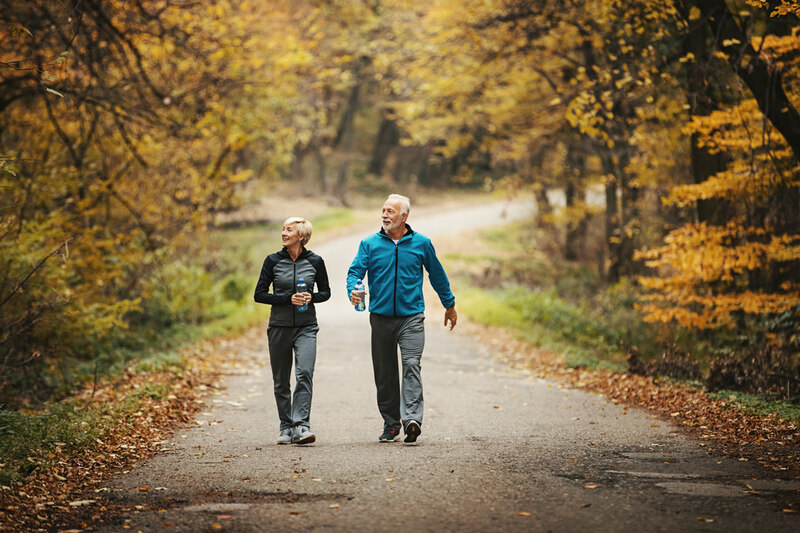 According to the National Institutes of Health “an evolving literature documents significant benefit of long-term, regular exercise on cognition, dementia risk, and perhaps dementia progression. These studies suggest an attenuating effect on brain aging and resilience to dementing neurodegenerative mechanisms.” In other words, it may delay onset or prevent mild cognitive impairment. Exercise or physical activity would be one way to stay physically healthy as well and mentally sharp. Caregiving is stressful, and we know that exercise can reduce stress and decrease depression, so why wouldn’t we want to invest time and effort into a no-cost solution? Time is the most common obstacle, namely what takes precedence during the day while caring for a loved one. Caregivers often have to choose between exercise or grocery shopping, exercise or laundry, the list goes on and on. What if we look at exercise as physical activity rather than that nasty eight letter word “exercise”. Walking the long way around the house to get to the laundry room, putting more effort into mopping the floor, dancing while dusting, walking in place while brushing your teeth are ways to incorporate increased physical activity into your routine. Instead of trying to get that “golden 30 minutes of exercise every day” all at one time, why not break it up into five-minute increments? Before you know it, you have accumulated 30 minutes of exercise, helped your heart health, increased your energy level and maybe even had a favorable effect on your brain health. As caregivers, it is important to give yourself permission to take a little time for yourself. You may want to join a group that meets on a weekly basis, not only for the exercise component but the socialization component. The Centers on Aging provide exercise classes such as tai chi, drums alive, Zumba gold and Ageless Grace. Ageless Grace is a seated exercise program developed specifically to enhance the development of neuropathways in the brain. When practiced for 10 minutes a day, you can enhance not only your physical health but your brain health. The Ageless Grace instructor will teach participants 21 tools to enhance the development of neuropathways. Once you learn the tools, you can practice at home. For more information, contact a Center on Aging near you, or visit agec.org.